Chairman of the Resource Owners Federation of PNG, Jonathan Paraia. 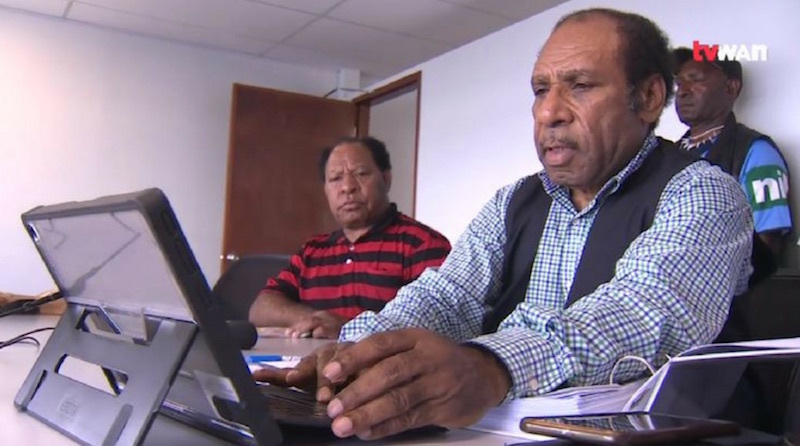 The Resource Owners Federation of PNG, a landowner company for the people of Porgera in Enga, are calling on the Government to fulfil its commitment in the MoA signed between the landowners in 1989. The landowners are claiming that breaches in the MOA have caused negative impacts on the social, environmental and economic lives of the Porgera landowners. Chairman of the Resource Owners Federation of PNG, Jonathan Paraia, said the 1988 proposals sought State approval and issuance of a Special Mining Lease (SML) for the mine to construct mining infrastructure that was capable of processing eight thousand tons of crushed ore through its mill over a mine life of twenty years. However, he claimed that the State allowed what was called a “minor variation” after five years of the mine operations to double the processing rate to 17,000 tons per day. Paraia said the landowners are now planning to invoke the arbitration provisions in the MoA. He added that the State’s failure to respond to the legal steps being followed by the landowners pursuant to the MoA is unbecoming of a responsible government. Paraia reiterated that State agencies, especially the Mineral Resources Authority, are negligent of their duty to deal with the dispute in an orderly and responsible manner to ensure that the complaints are properly dealt with. He further claimed that the State’s continuous ignorance of the issues raised by the landowners will do nothing but increase the frustration and anger of those affected, which could eventually lead to the disruption of yet another resource project in the Highlands region of Papua New Guinea.